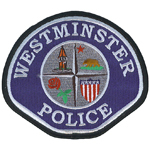 WESTMINSTER Police Cmdr. Cameron Knauerhaze shows a new tool police are using to help find criminals using security cameras and is asking for the publics help by asking them to register their home security camera with the service. (Photo by Steven Georges/Behind the Badge OC). The Westminster Police Department is taking community policing to the next level by asking residents to register their home surveillance cameras to help solve crimes. “This is just one other proactive measure to fight crime with our citizens,” said WPD Commander Cameron Knauerhaze, who oversees the new program. Part of a larger community policing initiative that will work with businesses and residents in crime prevention, this leg of the program utilizes new software that maps out real-time criminal activity in the city. Residents can view this activity on crimereports.com and also input some information of their own – mainly registration for their own home security cameras. 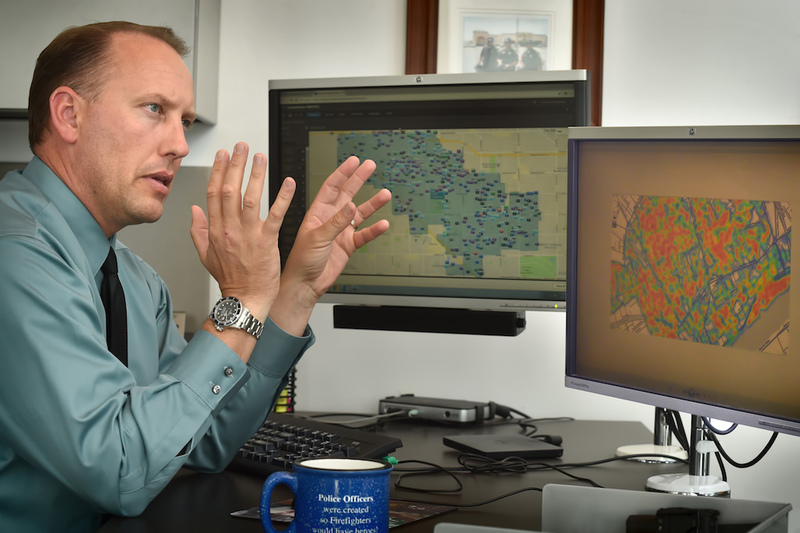 The idea is that when crimes take place in the city, investigators and the agency’s crime analyst can go into their software – called Command Central – and locate nearby surveillance cameras. These cameras could be the key to identifying suspects and solving crimes. The registration information citizens put in is for law enforcement eyes only and is not viewable on the crimereports.com website to the public. Once investigators locate the appropriate cameras, they will contact owners of the cameras to access the necessary footage. Det. Ryan Reyes, who works in the Crimes Against Property/Burglary Division at the WPD, said this new tool will really make the investigations process faster and more efficient. He’s already been using Command Central to help spot crime trends in areas, but once it has surveillance camera information, he’ll be able to use it for active crime-solving. He said in his work investigating burglaries, he’s often confronted with the fact that criminals will not park on the street where they’re breaking into homes and businesses – rather, they park on an adjacent street the next block over. With Command Central, once cameras are in the system, he’ll be able to find appropriate cameras where suspects may have parked to try to identify suspects. Cheryl Acoutin, secretary of Sol Vista Neighborhood Watch, West Westminster, said she will be encouraging neighbors to register their systems. “We have two commercial systems currently in place. We have identified our next location and [are] preparing to install cameras with License Plate Recovery. We have a fourth location also identified. We are working with homeowners to get permission to place the hardware on and in their homes,” she said. Westminster residents and business owners can register their surveillance cameras through Westminster PD’s registration portal at the bottom of its website in the Engagement section. Registration is quick and easy. License plate recover only works if they have the correct plates on. Walk through any good-sized tract and you will see a number of vehicles with no front plates and a lot with rear paper plates that have been on for 6 months plus. It isn’t just new cars but purchased used cars. I’ve seen cars with no plates at all or a different set of plates (different tags) from week to week. Either they are using the vehicle for crimes or they don’t want to pay for camera tickets, or want to drive the toll roads for free. OR?? ?